If you’re not already wearing a helmet every time you ride, there’s no better time to start than today. Just as important as wearing a helmet, though, is wearing the right type and size of helmet. Visit your local bike or helmet shop for assistance in having your helmet fitted if you’re unsure how to find a good fit. Another essential aspect of cycling safely is making sure that you’re visible to others on the road. Also, always make eye contact with motorists before making a turn, this can help to ensure that the driver sees you. Using hand signals is an important part of letting others on the road know what actions you plan to take. What’s more, using hand and arm signals as a cyclist is required under Iowa law. If you’ve never learned bicycle hand signals, the National Highway Traffic Safety Administration provides a great tutorial. 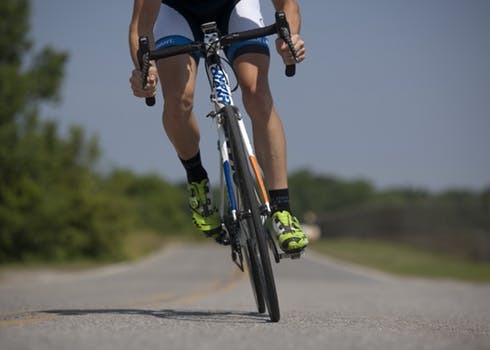 Finally, one of the most important things that you can do as a cyclist is to familiarize yourself with all of the bicycle laws and to follow them as well as all other traffic laws. For example, Iowa law requires the following. You can also visit the Iowa Department of Transportation's Iowa Bikes page for more information about biking in Iowa. During National Bicycle Month, cyclists are encouraged to attend, participate in, or even host their own events. A calendar of cycling events during the month of May can be found online at BikeLeague.org. Make sure that whatever activity you’re participating in, you practice the safety tips listed above. If you are in an accident with a vehicle, make sure you contact the attorneys at Walker, Billingsley & Bair for legal help at 888-435-9886.